Talking Walking Dead: Best Friend or Barky Liability? Best Friend or Barky Liability? In a world ruled by walkers, survivors must surround themselves with those they trust and who can help keep them safe. Bad choices are often made, leading to betrayal or fatal mistakes. With my slightly skewed priorities, this makes me ask one question: Where are the dogs? In our reality, every time a major natural disaster occurs, there are people who refuse to evacuate because many shelters don’t accept pets. Others leave behind nearly everything else, but pack their vehicles to the dome lights with animals. 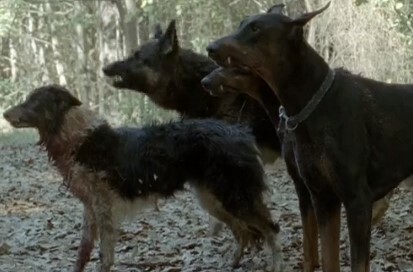 So far in The Walking Dead, we’ve seen virtually no dogs. I believe there were a few shown slinking around the streets of Atlanta, but the only ones I remember being the focus of anyone’s attention are the “little-fluffies” tucked in their doggie bed at the nursing home protected by the Vatos. Is this how it would be? Many dogs would fail to survive the early days. Their owners might be unable to return home, and some would flee without their pets. If the dogs were unable to escape their houses, they would eventually perish. Some pets who were outdoors or able to find a way out would become prey to other animals. We’ve seen walkers eat horses, rats, woodchuck, and (sadly) at the beginning of season two, dogs. (Thanks Iain for finding that reference – and disturbing photo – for me!) So perhaps we shouldn’t be surprised not to see many dogs wandering about, but I would have expected to see more. In urban areas, where wild game doesn’t exist and food sources are dwindling, survivors would eventually begin to hunt dogs. I imagine they’d be relatively easy targets, given their ingrained inclination to trust humans. In fact, I wrote this element into my own apocalyptic novella. I hated it. You might not believe me, but I’ve given this way too much thought. I would honestly starve before I would kill and consume a dog. Still, I recognized it as a likely scenario in the story, so I included it. Cats are another story. Feral cat colonies exist nearly everywhere, in both urban and rural areas, but they are way harder to catch than most people realize. Which makes me also wonder why we aren’t seeing more feral cats slinking around. Felines aside, I’m a true-blue dog person, and I know you can never discount people’s devotion to their canine companions. Shouldn’t we see at least some dogs accompanying groups of survivors? I would certainly try to bring my dogs with me and keep them safe. Yes, I’d have to find a way to feed them, but it would be worth it. That being said, babies and small children make noise and are hard to control, too, yet everyone seems determined to haul them along through the countryside. On the other hand, dogs could be a significant benefit. 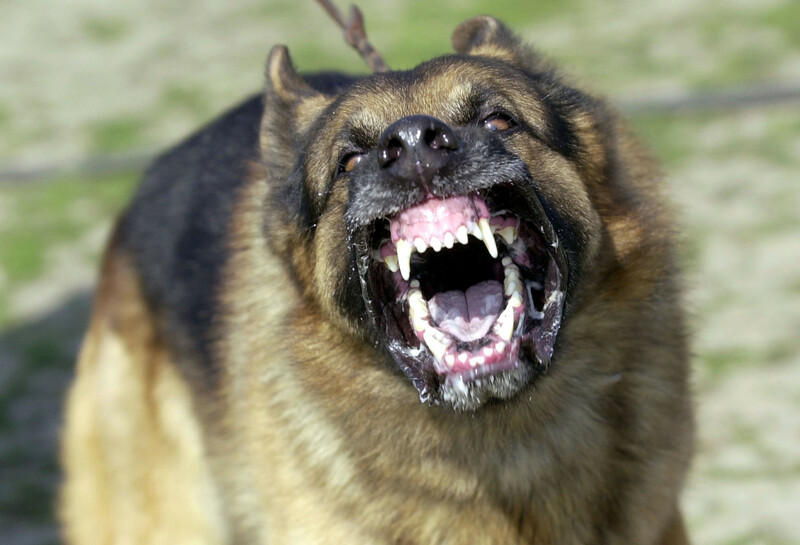 Sure, not a crazy, out-of-control yap-monster…but perhaps a more cooperative canine? Dogs are our companions, giving us comfort and acceptance when no one else does. But they also evolved to work by our side. Dogs have senses which greatly exceed ours. Their eyes are sensitive to movement, their ears are far more acute than those of humans, and their noses are so much more advanced it’s hard to calculate. Many breeds, especially if trained, could be of enormous benefit in the quest for game. In the area of security, their eyes would detect a rustle in the woods or the flicker of movement between buildings which would be invisible to their bipedal companions. This would be especially true at night, when people are nearly blind. Their (adorable, scratch-worthy) ears would pick up the distant shuffling of festering walker-feet while they were still far enough away to allow the luxury of escape. If the humans were attuned to their dogs and paying attention, this early alert system could save many lives. And those wonderful doggie noses! I must assume walkers don’t smell all that great, what with the rotting and absolute absence of personal hygiene. This brings me to a quick side note. Where does all the flesh the walkers eat end up? Does it just sit and rot in their stomachs? They’re dead, so I’m guessing “no metabolism.” I’ve never seen a walker, um, eliminate digestive byproducts, so I’d expect them to eventually swell up and burst from all the yummy, bloody goodness they’ve consumed. But enough about that, as I’m grossing myself out. Back to those dog noses. The advantages of having these marvels of evolution working for you would be immeasurable. Dogs would quickly develop an aversion to the undead, especially if their people knew anything at all about training and reinforced appropriate responses. Imagine approaching a building full of food or supplies and knowing well before you enter whether there are “Dead Inside.” And, as previously mentioned, dogs would be valuable when it came to detecting and locating delicious, roastable wildlife. I’ve been surprised by the lack of dogs in The Walking Dead, even on Hershel’s farm. It’s true the wrong dog might get you killed. But the right dog might be the thing that tips the survival scales in your favor. What do you think? How else might dogs be beneficial (or detrimental) to a group of survivors? 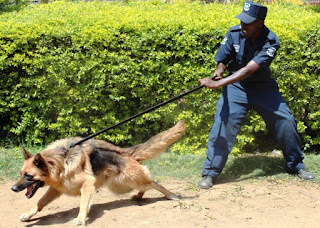 Larger dogs could be used to help carry things, like water. Could they be trained to attack walkers, taking out the legs and hindering their ability to reach you? Could they guard injured people or small children, giving an alert if walkers ventured into the vicinity? Would you take your dogs with you?